Probate and Wills Attorney Victor Sturm knows from experience that the loss of a loved one is a traumatic event. Sturm also knows making financial and legal decisions while grieving is extremely difficult and stressful. The Sturm Law Firm, with it's extensive probate and family relations experience, strives to lesson your stress and anxiety, making the process of probate and trust administration as easy and pain-free as possible. There are many affairs to be dealt with while a family grieves the passing of a loved one, and the Sturm Law Firm can help sort them out and take much of the burden off your shoulders. and take care of it for you. The Sturm Law Firm also provides a full range of litigation representation. 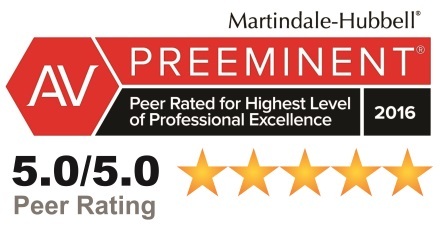 Effective representation in disputes involving the validity of a will, the legality of terms in a will, the appropriate division of assets, fiduciary liability, creditor claims, trust issues, and gift, death and fiduciary income tax, requires an experienced probate litigation attorney. Victor Sturm regularly represent clients in probate and estate litigation. He has the knowledge and experience to assist you with everything from simple administration to the most troublesome issues. Whether the planning for the estate with which you need assistance was done by the Sturm law firm or another firm, or there was no planning for it at all, we will go to work to help you efficiently and effectively protect and distribute the assets. The Sturm Law Firm has worked for more than thirty years with executors, personal representatives, trustees, and other fiduciaries in all aspects of estate administration. We are committed to the delivery of probate and trust administration services with a sensitivity to the special concerns of our clients.